The recently released movie Eye in the Sky offers a sobering portrait of contemporary counterterrorism operations. In an interview, director Gavin Hood tells us what he hopes viewers will take away from the movie, and why the issue of targeted killings demands close attention. And if you’re wondering what kind of drone technologies appear in the film and how they actually work, here’s what you need to know. The New York Times reported that consumer drone company DJI is sharing data collected by its drones with the Chinese government. In a press briefing, DJI spokesperson Zhang Fanxi said that the Shenzhen-based company is complying with requests from Beijing to hand over user information regarding flight locations and activity. “If the government says it wants this data, we will tell the user,” Zhang said. The U.S. Department of Justice has charged a Florida woman for smuggling parts for advanced unmanned undersea vehicles to China. According to a lengthy indictment, Amin Yu, a Chinese national and permanent resident of the United States, allegedly set up fake companies in Florida and Ohio in order to buy the parts for the drones between 2002 and 2014. 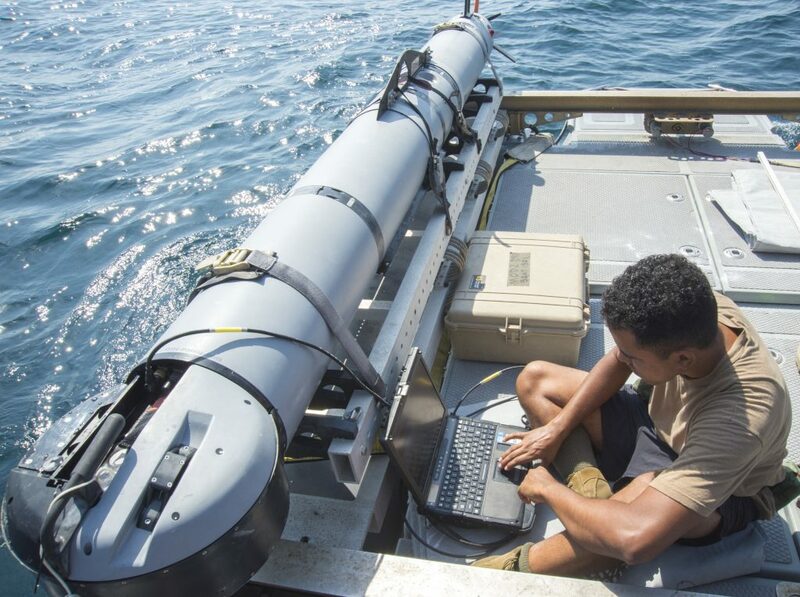 (Newsweek) For more on underwater drones, click here. A drone that reportedly collided with a British Airways jet on April 17 may not have actually been a drone. According to the Telegraph, British aviation officials investigating the incident have not found any damage to the aircraft and have speculated that the offending article may have been a plastic bag. Reuters reports that unmanned aircraft are taking on a greater share of the air war in Afghanistan. According to statistics released by the U.S. military, drones have been used for 61 percent of all airstrikes in the first quarter of this year, though the total number of airstrikes has fallen since the end of combat operations. The U.S. Senate overwhelmingly passed legislation reauthorizing the Federal Aviation Administration. The bill promotes commercial drone use, fosters research initiatives, and steps up enforcement actions against drone users who operate near airports. It also maintains federal regulatory authority over drones, despite efforts by some senators to allow local governments to develop their own regulations. The House of Representatives will now consider the bill. (Wall Street Journal) For more on the FAA reauthorization bills, click here. At Crain’s New York, Matthew Flamm examines how the use of drones could change industries such as film and real estate in New York City. At Popular Science, Mark Sundeen takes a look at efforts by North Dakota to make the state the home of the drone industry. At Lawfare, Dave Blair argues that military drones should be classified according to their mission sets. At China Daily, Zhao Lei reports on China’s push to assume a greater role in the global market for military drones. At the Daily Beast, G. Clay Whittaker argues that the technological capabilities of drones present a broad range of concerns. At Just Security, Chris Ford and Chris Jenks summarize the recent debates over Lethal Autonomous Weapons Systems that took place at the United Nations earlier this month. At HAL, Rodrick Wallace argues that autonomous weapons would probably fail to discriminate between targets under the stressful conditions of combat. At the EastWest Institute, Andrea Gilli and Mauro Gilli question whether many countries have the infrastructure and organization to support complex drone systems. At Defense News, Jen Judson writes that the House of Representatives may dramatically cut funding for the Army’s unmanned blimp surveillance program—the Joint Land Attack Cruise Missile Defense Elevated Netted Sensor System (JLENS). At the Guardian, Spencer Ackerman sits down with the families of individuals killed in U.S. drone strikes. Also at the Guardian, Alex Needham reviews National Bird, a documentary about former drone pilots. Bloomberg has put together a gallery of photographs to explain the details of a ground drone delivery system proposed by Starship, an Estonian startup. The Financial Times examines how drones are being used for fleet management. PrecisionHawk raised $18 million in a Series C round of venture funding to develop data and safety services for drone companies. “Our biggest opportunity and the faster growing part of our business is the platform we built for aerial data services,” CEO Bob Young said in an interview with TechCrunch.